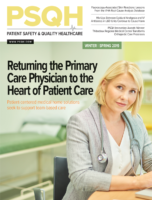 Now, more than ever, consumers have greater control over where they seek medical care ̶ a shift that is making patient satisfaction, safety and quality of care more important priorities for healthcare facilities. While the patient experience is typically tied closest to nurses, doctors and other clinical staff, maintenance and operations professionals also play a critical, yet often underappreciated role. What will you do to stay ahead in this brave new world of treating the patient as a consumer? Find out where to start by attending this webinar.